As I begin this article, I am reflecting on a late night not so long ago when I was studiously working on my “homework.” That particular evening it was necessary for me to preview a videotape entitled “Enchanted Cities of Europe” and enter any new words into my steno dictionary. The next day at Port Charlotte Middle School the uncaptioned videotape was to be shown to a class of sixth-grade students. In that classroom sat a hard-of-hearing child named Brian. I had been providing realtime reporting, or CART in the classroom (computer assistive realtime translation) for Brian since the end of April 1998, and it was a wonderful experience. In January 1998, a late-deafened adult that I have realtimed for in the past read about Brian’s desperate search for a certified Signed Exact English interpreter in our local newspaper; unfortunately, Port Charlotte, FL is a relatively small town, and there is none available in the immediate area. She contacted Brian’s family and inquired if they were familiar with realtime and its processes and benefits. After a short time, I was contacted by Brian’s mother requesting an in-home demonstration and a discussion of the possibility of my attending his classes for the remainder of the school year to provide CART in the classroom. During my visit, I explained that realtime reporting is used in many classrooms across the United States for other students like Brian. Brian speaks English, so I knew that once we were working together for a while, there would be no problem with communication between the two of us. Subsequently, his family contacted the school board and requested my services. The first few weeks of school brought new situations. At one point the school administration was concerned that the customary printout of classroom lectures would create some legal issues by violating a confidentiality requirement. I assured them that while printing a transcript of class discussion is a service my company provides, Brian’s mother had specifically requested that I not print class discussion in order to ensure proper note taking by her child. One of my initial concerns was the question of moving my equipment from class to class. I am proud to say that I am now an expert at transporting a steno machine and a handful of cables under one arm and a laptop computer under the other, while briskly opening doors and traversing nearly a thousand sixth and seventh graders in under four minutes. This is a feat not accomplished by the faint of heart! Inasmuch as I attended all of Brian’s academic classes, it was necessary to explain my role in the classroom to each of his teachers. All of them fully understood that I was in the classroom for one reason – to help Brian take part as much as his classmates. We discussed the fact that I would not be available to grade papers, monitor the students’ behavior if a teacher left the room and/or act in any manner other than as Brian’s realtime interpreter. I also explained to all of his teachers that when tests were given in class, my laptop’s screen would be closed in order to avoid any impropriety. Brian understood that if he had questions about assignments or homework or the application of a particular theory, he had to consult his teachers. I also explained to Brian that he should feel free to adjust any of the controls that determine brightness and visibility of the screen; however, he should never touch any of the buttons or keys on the computer. “Pick me! Pick me!” all at once. Every day was a new learning experience, and I truly enjoyed it all. Some days were really challenging. For example, in Brian’s World Culture class, the students were rewarded for good behavior by playing their version of the TV game show Jeopardy, which was quite challenging at times with 23 students shouting, “Pick me! Pick me!” The most rewarding feeling I had was to see Brian’s boyish face light up with enthusiasm, “click” with understanding or see him enjoy a hearty laugh because of something he read on my laptop’s screen. That gave me the greatest joy of all! I will miss Brian and his classmates and can only hope that many years from now when he is a grown man, he will remember the person who signed his sixth-grade yearbook as, “Your friend and realtime reporting interpreter. In the course of a prosperous 13-year career in the court reporting profession, Lisa M. Rollins, RPR, co-owner of Guardian Reporting, Inc., has proven to be a skilled executive, visionary entrepreneur, turnaround expert and savvy business woman. She, along with her partner (and mother) Linda A. 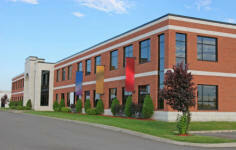 Labor, CLVS, also a student of SCTI, opened the doors of their successful agency in 1997 with a single subcontractor. Today, a mere eight years later, Guardian has three full-time employees and regularly contracts with over ten freelance court reporters. Guardian’s base of operations is located in beautiful downtown Punta Gorda and proudly serves all of Southwest Florida by providing verbatim stenographic recordings of court proceedings and company meetings, legal videography, tape transcription, CART and realtime services. Ms. Rollins has written six published articles about the court reporting profession and CART services; two articles have been published in the Journal of Court Reporting, a national publication. Lisa is a Notary Public for the State of Florida and an associate member of the Florida Court Reporters Association (FCRA) and the National Court Reporters Association (NCRA). Ms. Rollins holds her Registered Professional Reporter designation which she earned from NCRA in 1995. She works with nonprofit organizations like the Self-Help for Hard of Hearing (SHHH) and Hearing Impaired Persons (HIP) by providing pro bono CART services two times a month to the groups’ memberships. Lisa is proud to have provided CART services to a deaf student in federal court and to litigants in neighboring counties. Ms. Rollins has reported countless legal proceedings with fast-talking lawyers and verbally astute expert witnesses and she has survived to live another day. Lisa Rollins’ passions include real estate investing, SCUBA diving, photography, ballroom dancing, and playing with her seven-year-old son.